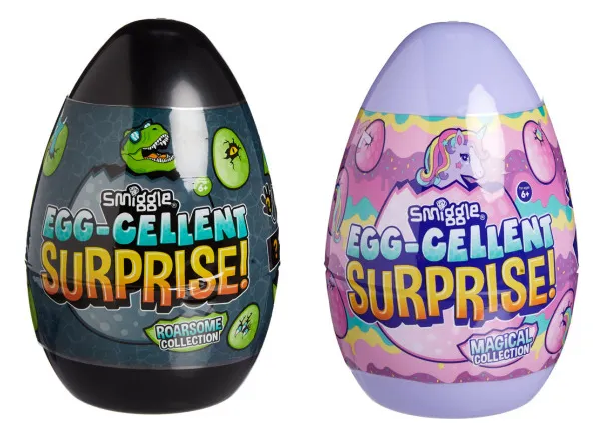 If you're looking for alternatives to chocolate Easter eggs for your children this year, these new Easter goodies from Smiggle could be just the thing. They have just launched new Eggcellent Surprise eggs, packed with stationery and novelty gifts for children. The large Eggcellent Surprise* eggs come in a choice of two styles; the Magical Collection with unicorn themed gifts, or the Roarsome Collection with all sorts of dinosaur fun inside. They're not cheap at £18 each, but you do get six surprise Smiggle items inside so price wise it's not bad value at all. If you want to look at what's inside the eggs before you buy there are pictures of the contents on the Smiggle website. 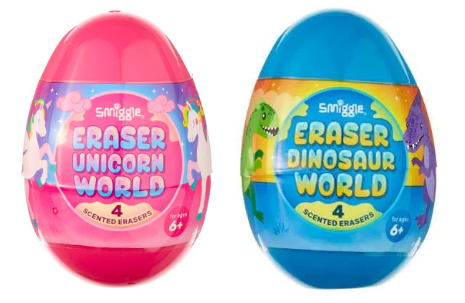 A cheaper option is the World Eraser Egg*, again in dinosaur and unicorn themes, and those are £4.50 each with four novelty shaped and scented erasers in each. 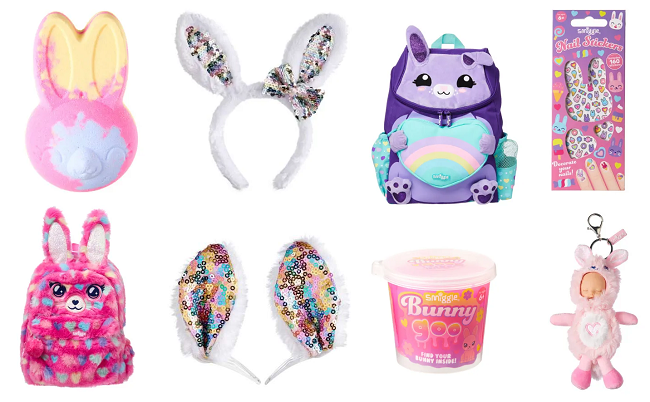 In the Easter Fun* section you can also find all sorts of other Easter gift ideas, like sequined bunny ears or hair clips, bunny nail stickers, a bunny bath fizzer, and even a Bunny In Goo*!